I flew this week to Kenya for two days of rest. Working in the field is physically and emotionally draining. In order to counter some of the stress, every six weeks we are all mandated to spend a few days out of the project. Even though I really did not want to leave the work I was doing, I desperately needed time to sleep. On the plane back to South Sudan I thought about how much different life looks and feels up-close versus from far away. When I am “in the middle of it,” I am so wrapped up in my own perspective that I cannot see anything else. Perhaps it is good, or perhaps it is bad, but more likely it just is. Guess that is a matter of perspective. Over the last few weeks, my mind and heart has been consumed by a newborn who was brought to our maternity unit a few weeks ago. The baby had been born one week prior in a village that is a six-hour walk from our hospital in Lankien. The mother brought the baby because a few days after birth he developed painful blisters all over his body. The initial consensus was that the blisters were the result of a staphylococcus infection of the skin. I worked closely with two of the doctors in the project to develop a plan care, which included IV antibiotics and dressing changes for the child. I was glad one of the doctors would be managing the dressing changes, because this little boy reminded me too much of a baby I had encountered in a previous assignment. That baby failed every treatment I tried. When that baby wasn’t getting better, the mother left one day with her child and never returned. For the last three weeks, I have had to remind myself that this baby is not that baby. This was easy initially, because I thought this little boy was improving. However, new blisters would regularly appear. I attributed the delayed recovery to a “severe infection”. We continued the dressing changes on his legs and the IV antibiotics, but after a week and several infiltrated IVs, we could no longer get intravenous access. Tria, one of our doctors, recommended trying an oral antibiotic. So we tried, but the blisters continued. 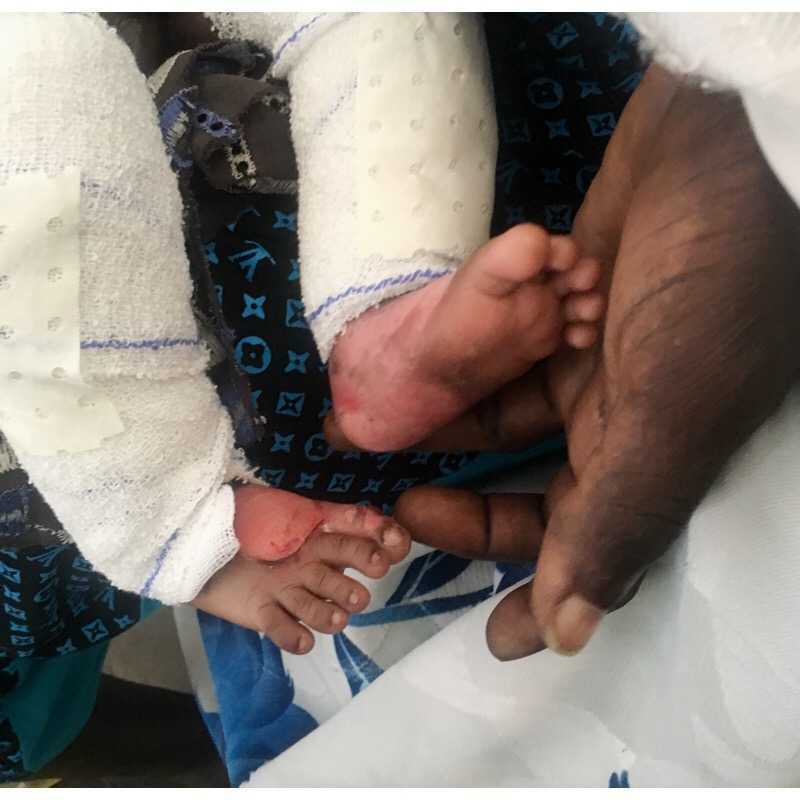 Returning from my break in Kenya, I was exasperated to find two new, seemingly large blisters – one on the baby’s foot, the other on the baby’s finger. I consulted three of our doctors, as well as using telemedicine - an online platform that allows us to consult with medical specialists around the world. I was hopeful they would have a clear plan for recovery. I woke up Sunday morning hopeful that finally I would have an answer, that finally I would know what to do, that finally I would not hear this baby’s raspy cries in the ward anymore. Dystrophic epidermolysis bullosa – a connective tissue disorder, for which the only treatment is support. I sat with the mother, and began to cry as I told her there was no treatment. I could teach her how to prevent and how to care for the blisters, but this baby was going to suffer. The baby cried in pain as I showed her how to release the fluid in blister. I explained that I would give her more information on management in the days to come. When I was done talking, she told me through the medical assistant not to cry. I think she sees something that I don’t. If I had to guess it is that suffering is only one part of life, and that there are so many other parts to be grateful for. Or at least, that is the perspective I will try to have in the days coming.